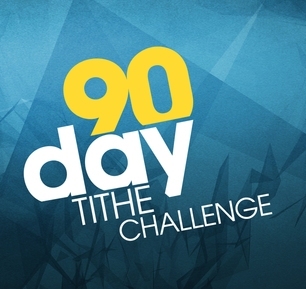 Those of you taking the Tithe Challenge, I am so proud of you! You are stepping out in faith and it’s awesome. My prayers are with you right now. You may be under attack as you have committed to give to God’s kingdom. It’s OK, that’s a sign you are doing the right thing. Hang in there! Do you have a story to share about tithing? ! do! A few months ago Niki had surgery for a deviated septum. Her nose was constantly clogged and she needed allergy pills, cough syrup or nose spray. The insurance said they would not cover this. We were looking at thousands of dollars of expense! Yesterday Niki said, “now the insurance will cover the surgery!” This saves us about $13,000. God takes care of us like this all the time. We don’t believe its a coincidence. We tithe and God blesses. You may see something good happen like the insurance paying a bill, a check in the mail, or getting the job or raise you’ve been wanting. You may not. But, you will feel satisfied and closer to God as you walk in faith. You will know that God is God at some point during this three months, but don’t quit. Every now and then you may see a list containing the richest people in the world. You may even wonder what it would be like to have that sort of cash. But where would you sit on one of those lists? Here’s your chance to find out. Go to www.globalrichlist.com Type in your country and income and where you compare in the world to the other people. Its eye opening! Spoiler alert: if you make $48,000 annually in your household, you are in the top 1% of the wealthiest people in the world! Did you know three billion people live on less than $2 per day while 1.3 billion get by on less than $1 per day? Be rich, but be obedient too. Tithing is giving what God requires. Way to go! This entry was posted in Tithe Challenge and tagged Global Rich List, Rich, tithe. Bookmark the permalink. I am so happy to hear how God continues to bless us as tithe givers! So happy 13k has been released and paid for! I hope others catch this and are willing to step out in faith and give!